Everyone gets sentimental about their hometown, and the associated memories, sometimes, but one former Sallisaw resident put his hometown memories and emotions to music. Jarrard Copeland’s video, which features photos of Sallisaw over the years set to the song “Give Me Back My Hometown” by Eric Church, is attracting quite an audience. The video has been posted on several Facebook sites and is being shared throughout the community. Copeland said his fond memories of growing up in Sallisaw prompted the video. He said he had the “perfect childhood” when growing up in Sallisaw, the perfect family, friends and experiences. Copeland is a 1985 graduate of Sallisaw High School, where he played football. Copeland remembers the old Sallisaw High School and middle school, when the campuses weren’t closed and students left for lunch. “I remember walking to Dotson’s every day for lunch,” he remembered. Of course, Dotson’s diner is included in the video, along with other old black and white and color photos of Sallisaw businesses long gone or re-purposed. The video includes many photos from Copeland’s high school years, memories of both places and people, school officials, coaches, teammates, a championship trophy, etc. “I’ve always been fascinated with videos and old photos,” Copeland explained about his decision to make the video. “I got the old photos from yearbooks and offline. Church’s song about his hometown is directed at an old girlfriend. Copeland said that concerned him, but the memories of a hometown were more important. Copeland said he found a special app, or application, - Flipagram - that he used to make the video. It’s not the first video he made. The first he made was for his own father, the late Kenneth Copeland, on Father’s Day. That video is set to Sawyer Brown’s “The Wall,” and it may also be seen on Copeland’s Facebook page. Copeland went on to college and is now a police officer in Fort Smith where he lives. But he remains a hometown boy. “I’m proud of my hometown,” he said, “I’m proud of the people who live there. “I’m pretty sentimental I guess,” he continued. “Sometimes I come over to Sallisaw and drive around for hours just reminiscing and thinking about old times. Of course we go to the barbeque quite often. “I wouldn’t trade my childhood for anything,” he concluded. Kansas City Southern Railroad (KCS) will close the South Dogwood railroad crossing in Sallisaw beginning at 7 a.m. Thursday for about eight hours. KCS will be doing concrete work at this crossing preparing for future installation of cross arms. The reason for the short notice on the closing is they have learned they have an eight-hour window of opportunity when no trains are scheduled for that area. KCS does not expect the work to take the full eight hours and will reopen as soon as soon as possible. State and Cherokee Nation officials were working Tuesday to keep Sequoyah’s Cabin, the county’s top visitor attraction, open. The Oklahoma Historical Society, due to state budget cuts, had to consider closing the historic site, and informed Site Manager Jerry Dobbs Tuesday morning that he should close the gate on Wednesday. But Dobbs said things were changing minute by minute on Tuesday as the historical society, which owns the site, communicated with the Cherokee Nation. The society and Cherokee Nation have been working on a solution to keeping Sequoyah’s Cabin open by selling the site to the tribe. Dobbs said that the initial order, delivered by the state historical society on Tuesday, to shut the site’s gates on Wednesday was changed later to staying open so that an appraiser could visit the site. As of Tuesday afternoon, the site’s gates were to be closed on Friday and Saturday, but the site will be open on Sunday for the annual Blair family reunion. “There have been developments minute by minute,” Dobbs said. 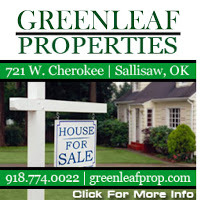 He added that it is believed the Cherokee Nation hopes to announce the purchase and continuing operation of the site during the Cherokee National Holiday over the Labor Day weekend. Regardless, Dobbs, who has been at Sequoyah’s Cabin for 27 years, is “being forced to retire.” He said it is hoped he can continue with the Cherokee Nation if the tribe purchases the site. Kathy Dickson, Oklahoma Historical Society Historical Programs administrator, confirmed the society is working on a “new partnership” to keep the site open, but said she “wasn’t at liberty to say” who the partnership was with. She said the historical society hoped to have an announcement about Sequoyah’s Cabin on Friday. “We have no intention of walking away from the property,” Dickson said. She said rumors that Spiro Mounds in LeFlore County is to be closed were false. Dobbs said site employees were told earlier this year that they must seek funds elsewhere and sponsorships to keep their sites open. “The well has run dry,” Dobbs said about state funding. 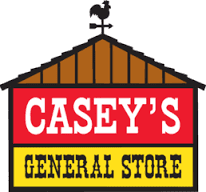 Casey’s General Store is hiring. Casey’s, which is building a new store in Sallisaw, will be interviewing prospective employees for three stores at the Stilwell Workforce Office from 9 a.m. until 1 p.m. on Wednesday. Interviews will be held for all positions at the new Sallisaw store, and for cashiers at the Westville and Tahlequah stores. Those searching for employment are encouraged to arrive at the workforce office at 8 a.m. to fill out an application. The Stilwell Workforce office is at 219 W. Oak in Stilwell, in the Cherokee Nation Career Services building behind the post office. 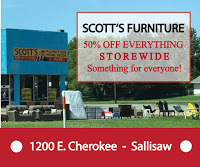 A Casey’s spokesman said earlier that the new Sallisaw store will most likely open in the fall. 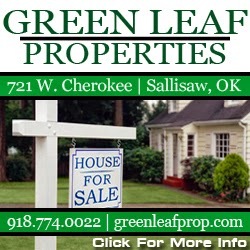 An Ohio woman faces a trafficking in illegal drugs charge in Sequoyah County District Court, Sallisaw, after she was found with about 30 pounds of marijuana in her vehicle on Interstate 40, according to the charges. Jeri Jo Harper, 43, of Delaware, Ohio, was arrested Aug. 9 after she was stopped for speeding by an Oklahoma Highway Patrol trooper. In the report filed with the charge, the trooper said Harper was traveling east at 76 miles per hour in a 70 miles per hour zone. He stopped the car at the 299 mile marker, and reported Harper appeared nervous. Harper denied his request to search her car, so the trooper deployed his service dog to conduct a free-air sniff of the car’s exterior. The dog alerted to the odor of drugs, and a search of the car revealed two large duffle bags in the trunk. The trooper reported he found in the bags numerous sealed bundles of a green, leafy substance that later field-tested as marijuana. The bundles weighed a total of about 30 pounds, he reported. Harper was arrested and booked into the Sequoyah County Detention Center in Sallisaw. 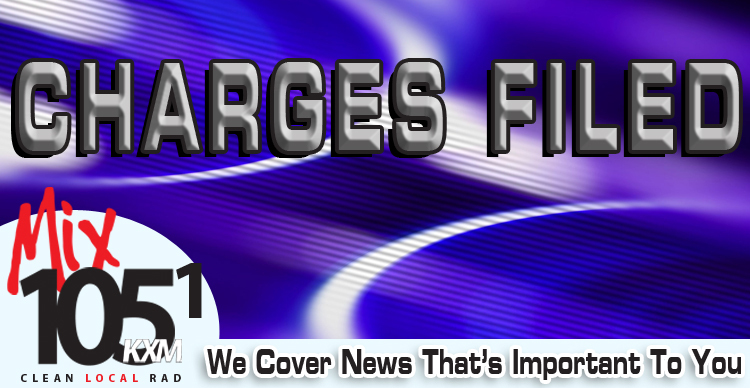 She was charged Aug. 17 in district court, and entered a not guilty plea to the charge. She was released Aug. 17 on a $26,000 bond. Harper’s next court appearance is set for 9 a.m. Sept. 28 on Associate District Judge Kyle Waters disposition docket. Registration is now open for Cherokee Nation Foundation’s Fall ACT prep classes. The six-week course is offered to Cherokee Nation citizens in their junior or senior year of high school. Class begins Sept. 15 at Carl Albert State College in Sallisaw and concludes with the National ACT exam on Oct. 22. The class will be held from 4 to 7 p.m. on Thursdays at Carl Albert State College, Sallisaw Campus, at 1601 S. Opdyke. No class will be held during fall break. Curriculum includes interactive instruction by a Princeton Review instructor and two practice tests. In previous years, students have increased their scores by an average of 3.5 points, and some individual scores have increased by as much as 10 points. Students interested in the course can pick up registration forms from their high school guidance counselors or call the foundation at 918-207-0950. Applications are also available online at www.cherokeenationfoundation.org. The deadline to enroll is Sept. 9. Students interested in the free classes must participate in a practice test on Sept. 10. The Pervasive Parenting Center (PPC) recently received a $500,000 grant from the U.S. Department of Education Office of Special Education and Rehabilitation Services. The grant names the center as a new Community Parent Resource Center (CPRC). This will mean an increase in services for people with disabilities in eastern Oklahoma. The grant will provide $100,000 per year for five years. This money will be used to provide salaries for the director as well as a part-time guidance specialist. The center began with an idea from Toney and his wife. “My son Konner was diagnosed with autism in 2007 at the age of three,” said Toney. “I really began advocating for him then, but as I was advocating for him I realized that other people in this area could benefit from the things my wife and I were learning. So in 2013 we decided that we needed to start a non-profit organization to help provide more resources to this area. In the past the center has provided many services in the area. These include purchasing equipment for children with disabilities. They have also provided training to families, caregivers, professionals, law enforcement, and educators. They have worked to bring in resources to the area including conferences and workshops. They provide parent support group meetings and Sibshops, and have provided scholarships for people with disabilities going into post-secondary education. Toney said the PPC will continue to provide those services while working with local, state, and federal organizations to draw in the resources necessary for the rural, under-served area of the state. In addition to the current services the center will implement three new programs within the next five years. These programs are focused on helping build community involvement and better education services at all stages of a child’s education. There are programs designed to help from early childhood to transition, post-secondary and beyond. A new peer mentoring program will be developed to help local schools provide inclusion into the classroom and other school programs. While still in the development stage, the program will help children with disabilities better interact with their peers in the school environment. This will help those without disabilities better understand their peers. It will also help those with disabilities understand social cues and work on social interaction. A tutoring aspect of the grant will be implemented in the next five years as well. This will primarily target dyslexia, but will also assist other learning disabilities. The grant allows the center to provide the services of higher trained educators in the area. The third program will focus on transition with a social group. The group will be designed to help students in middle and high school better prepare for transition out of secondary education and into post-secondary school, technical school, or the working world. It will focus on aspects of etiquette in the public setting. The grant will also allow the center to have a physical location. PPC will be housed at Carl Albert State College in Poteau. “For almost three years we have been working out of my house and vehicle, so it’s nice to have a place where people can physically go to receive help and resources,” said Toney. The grant will be implemented and the center will open full-time beginning Oct. 1. Anyone in need assistance before then may contact Kodey Toney @ 918-658-5076 or ktoney@pervasiveparentingcenter.org. The new position means Toney will be leaving his post as a guidance counselor for the Education Talent Search Program at Carl Albert State College, where he has been for almost 13 years. At the Miss Cherokee competition are, from the left, second runner-up Madison Shoemaker, 2016-17 Miss Cherokee Sky Wildcat and first runner-up Amari McCoy. Northeastern State University senior Sky Wildcat, 21, is the new Miss Cherokee and was crowned Saturday during a leadership competition at Cornerstone Fellowship Church in Tahlequah. Wildcat receives a $3,000 scholarship and for the next year will represent the Cherokee Nation as a goodwill ambassador to promote the government, history, language and culture of the Cherokee people. Wildcat of Tahlequah is the daughter of Victor and Tammy Wildcat. She competed against nine other young women for the crown. 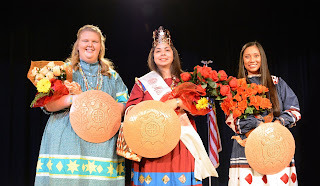 The Miss Cherokee Leadership Competition judged contestants on their use of the Cherokee language, cultural and platform presentations, and an impromptu question. “Being crowned Miss Cherokee means I get to represent our tribe and represent the young Cherokee women that competed tonight who represent resilience and strength much like our ancestors,” Wildcat said. For her cultural presentation, Wildcat shared the history of traditional Cherokee basket weaving. Wildcat’s platform focused on protecting our land and water and preserving our natural resources. Wildcat’s first public event as Miss Cherokee will be Saturday’s State of the Nation Address at the 64th Cherokee National Holiday in Tahlequah. Judges for the Miss Cherokee Leadership Competition were Gloria Mitchell Cooksey, Linda Holderby, Stacy Leeds and Curtis Washington. Gift bags for the Sequoyah County Sheriff’s Department were packaged and delivered this week by members of the Oakridge Assembly of God in Sallisaw. 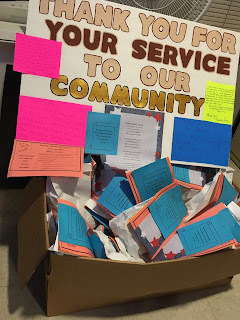 The church members hoped to show their support of and appreciation for law enforcement in the light of recent events and attacks upon law enforcement officers. The Sallisaw Educational Foundation's annual 4-Man Golf Scramble will be held Saturday at the Shadow Creek Golf Club in Sallisaw. Eric Karr, foundation president, said the golf tournament will continue even in the rain. Play is only called off or delayed in case of storms and lightning. Heavy rain Friday may have dampened the course, but Saturday’s forecast is only for possible scattered showers. The tournament is the primary fundraiser for the foundation, which provides grants for Sallisaw teachers to enrich the learning experience of their students. The foundation has awarded more than $100,000 in grants to teachers in kindergarten through high school since the foundation’s organization 26 years ago. Karr said the foundation has awarded grants for programs and equipment the school usually cannot finance. In the past the foundation has purchased a new telescope for astronomy classes and a metronome for the marching band. Tournament registration will be at 8 a.m. Saturday, when donuts will be served, and tee-off time is at 8:30 a.m. Lunch will be served at about 12:15 p.m., Karr said. The entry fee is $200 per team. First place will win $500, second place will win $300, and third place will win $200. Additional prizes will be awarded for the longest drive and the closest to the pin. Anyone who makes a hole in one on the third hole will win a car from Blue Ribbon Auto Group. 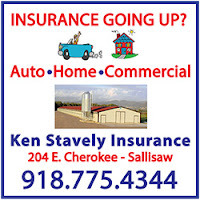 For more information contact Karr at 918-775-1510. Shannon Vann, left, Sallisaw Chamber of Commerce president, presented Sallisaw Schools with the Sallisaw Chamber Member of the Month Award at the chamber membership meeting Aug. 24. Accepting are, from his left, Ernie Martens, Bobby Qualls, School Superintendent Scott Farmer, Justin McGrew, Frank Sullivan III, Russel Tillery (behind Sullivan), Diane Tillery, Toni Jasna, Martha Howell, Chad Jasna and Greg Cast. Sallisaw Schools was named the Sallisaw Chamber of Commerce Member of the Month at the chamber’s membership meeting Aug. 24. When presenting the award, Chamber President Shannon Vann noted the school system has 2,000 students and is one of the largest employers in the county. 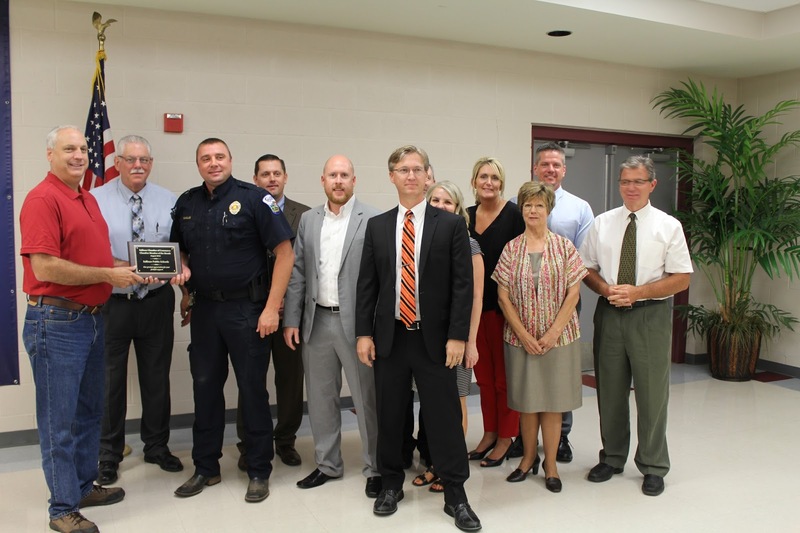 School Superintendent Scott Farmer, school administrators and board members accepted the award. Academic success is the goal at Sallisaw Schools, Farmer said in an interview. To achieve that goal, the schools have implemented several new programs. One of those is simultaneous enrollment with Carl Albert State College (CASC) of Poteau and Sallisaw. Farmer explained this program allows high school students to take the class in high school, and get credit for both high school and college. The class is an advanced class, and the teachers are credentialed for college level instruction. The program is set up presently for English composition, but the school hopes to add math, science and history. “Our ultimate goal is to make sure our kids get prepared for college and get college credit. It’s a bit of a segue into college,” Farmer said. The simultaneous enrollment program is in addition to concurrent enrollment, in which high school juniors and seniors may also take CASC classes. To encourage college preparation, Oklahoma schools now offer free ACTs, the test for college admission, to all high school juniors. State School Superintendent Joy Hofmeister announced this week that the number of Oklahoma juniors taking the ACT in 2016 skyrocketed by at least 58 percent over 2015. Last spring, the Oklahoma State Department of Education offered an ACT pilot program that enabled all public high school juniors in the state to take the exam at no cost to districts or students. Nearly every eligible high school participated, with 457 of 459 taking advantage of the voluntary program. In all, 35,477 juniors took the ACT as part of the initiative, compared to 22,500 the year before. But Sallisaw Schools starts even sooner than the junior year. Sallisaw Schools start students toward a college education in the third grade. Farmer explained that program is called the ACT Aspire program. This program, he said, is a suite of assessments. The students are tested three times a year, every year, to determine if their learning is preparing them for entrance exams and college. In Sallisaw Schools, the ACT Aspire program is just beginning its third year, so those students will be juniors before they take the ACTs. “It’s going to take some time,” Farmer said about the program. Still, Sallisaw Schools are not lagging behind in college preparedness. Farmer said Sallisaw students’ ACT scores are higher than the state average, which is 20.7. 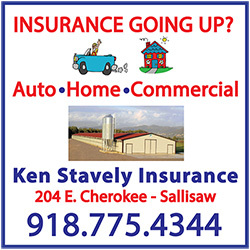 Sallisaw students score, on average, a 21.6, Farmer said. Farmer said 81 percent of Sallisaw’s students are completing the college-bound curriculum, and about 40 percent go on to enroll in in-state colleges. Farmer said that percentage is inaccurate, because students attending out-of-state colleges are not counted and included, such as those who attend the University of Arkansas in Fort Smith and Fayetteville. It is estimated at least another 4 to 5 percent of Sallisaw students attend out-of-state colleges. “Close to half of our students are going on to the next level of education,” Farmer said. From the left, Tony Yates, local OSU extension agricultural educator, and Sequoyah County 4-H culinary team members Faith Cude, Gabriel Cude and Katlynn Seal are shown with Cherokee Casino and Hotel Roland buffet chef Fabian Laster and food and beverage manager Justin Choate. Cherokee Casino and Hotel Roland buffet chef Fabian Laster is helping three 4-H students dig through bins of fresh fruits and vegetables, cheeses and precisely cut meats looking for the perfect combination. 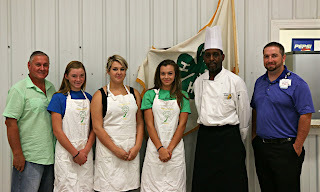 The chef volunteered to help prepare the girls for the national 4-H Food Showdown. The youth are heading to the Texas State Fair on Oct. 4 to compete in the national culinary competition after winning at both the regional and state level showdowns. Sophomore sisters and Cherokee Nation citizens Faith Cude, 14, and Gabriel Cude, 15, make up two-thirds of the award-winning Sequoyah County 4-H culinary team. They are the daughters of Archie and Sherri Cude and are currently homeschooled in Muldrow. Katlynn Seal, the 17-year-old daughter of Harlan and Angela, is a junior at Gans High School and is the unspoken group leader. The national 4-H Food Showdown takes three members who have previously won at the regional and state levels. The teams are asked to create a dish while demonstrating their knowledge in food and nutrition, kitchen safety, equipment and creativity in food preparation. Teams must create their dish using only one clue, provided secret ingredients and items from the common pantry. From the secret ingredients, 4-H members must identify, prepare and then present information related to the serving size, nutritional value and cost of the dish. Classically trained at Le Cordon Bleu College of Culinary Arts in Minneapolis/St. Paul, Chef Laster’s career in the kitchen actually began in the Navy in 1987. The Cudes and Seal were presented with a knife set to take on their journey to nationals, sponsored by Bryan Warner, Cherokee Nation Tribal Councilor from District 6. For whatever reason a student needs a class this fall, Carl Albert State College (CASC) is offering online 8-week classes beginning Oct. 6. A Muldrow man was sentenced in U.S. District Court in Muskogee on drug charges and for possession of a firearm. Edward Robert Saldana II, 30, was sentenced to 46 months for being a felon in possession of a firearm and for possession with intent to distribute methamphetamine and oxycodone. Saldana was also sentenced to 60 months for possession of a firearm in furtherance of a drug trafficking crime. The sentences were ordered to run consecutive for a total of 106 months. The court also imposed a term of three years of supervised release. The charges arose from an investigation by the Sallisaw Police Department and the Drug Enforcement Administration. The defendant was indicted in February and pled guilty in March. 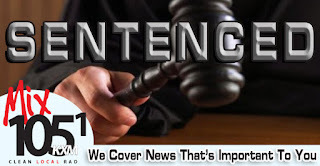 The Indictment alleged that on or about Dec. 10 the defendant possessed with intent to distribute a mixture or substance containing a detectable amount of methamphetamine and a mixture or substance containing a detectable amount of oxycodone. It further alleged that on the same date, the defendant, having been previously convicted of a crime, possessed a firearm and did so in furtherance of a drug trafficking crime. District Judge Ronald A. White of the U.S. District Court for the Eastern District of Oklahoma in Muskogee presided over the hearing. The defendant will remain in the custody of the U.S. Marshals Service pending transportation to a federal prison where he will serve his non-paroleable sentence. Assistant U.S. Attorney Chris Wilson represented the United States in the case. 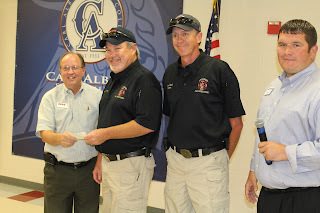 Gary Shaefer, left, and Treye Girdner, right, presented the Sallisaw Fire Department with a $1,000 donation at the Sallisaw Chamber of Commerce luncheon Wednesday. Accepting are Fire Chief Anthony Armstrong, left, and Assistant Chief Steve Padgett, right. Shaefer and Girdner serve on the chamber’s Diamond Daze Parking and Logistics Committee. Shaefer said the fire department assists with the parking and logistics for the festival and were especially helpful this year after three and a half inches of rain fell on the festival Friday night. Sheriff Ron Lockhart and the Sequoyah County Sheriff’s Department were honored and given a donation at the Sallisaw Chamber of Commerce Membership Luncheon Wednesday. Treye Girdner, right, thanked the sheriff and his staff for assisting with the Diamond Daze festival. 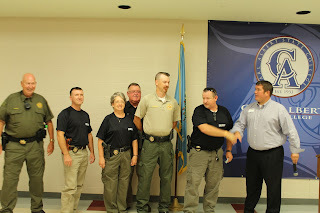 Girdner said, “Thank you for what you do from the bottom of my heart.” Accepting are, from the left, Steve Grizzel, KD Graham, Alma O’Neal, Ron Lockhart, Craig Edgmon, and Jeff Neighbors. 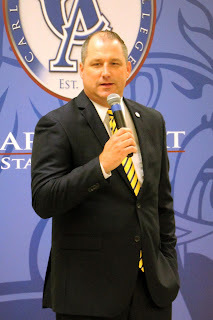 Jay Falkner, president of Carl Albert State College (CASC) in Poteau and Sallisaw, was the guest speaker at the Sallisaw Chamber of Commerce Membership Luncheon Wednesday at the CASC Sallisaw Campus. He reviewed new programs CASC is undertaking for both the college and community. Falkner said CASC is working with Sallisaw Schools to have high school students “college ready,” and some with college credits when they graduate from high school. He said CASC is adding new academic programs and has added a psychology and sociology instructor. He reviewed the new program with Northeastern State University in Tahlequah that allows future teachers to complete their bachelor degrees through CASC, without having to take daily classes in Tahlequah. “We are going to grow our own elementary education and special education teachers,” Falkner said. CASC is also working with the Cherokee Nation on scholarships, and has received a grant through Native Americans Serving Nontribal Institutions. The grant is for $1,998,818 over a five year period, until Sept. 30, 2020. The program focuses on academic achievement and successful on-time graduation. Falkner said the grant is also being used to build a Native America Resource Center on the Sallisaw campus. “This is a very important outreach for Native American students,” he said. Falkner acknowledged that financial problems trouble CASC and the area. Budget cuts by the state to the college resulted in a reduction in force earlier this year. “We are in uncharted water as an institution,” Falkner said. But, he said, the college, its staff and students are planning to be more involved in the community and with the chamber of commerce. Falkner also thanked CASC supporters present, including Dwight Spencer, his father Buddy Spencer, and the Stites family, as well as the family of Delores Mitchell. “You are the folks who built this campus. . .and done an amazing thing. I can’t thank you enough,” Falkner said. 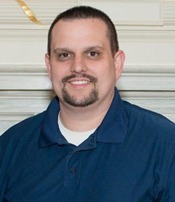 Falkner became CASC president on July 1. He previously served as president of the Poteau Junior College and superintendent of Poteau Schools. Muldrow High School freshman Lauryn Skye McCoy (above) of Sallisaw was crowned the 2016-17 Junior Miss Cherokee during the 25th annual competition Saturday. For the next year, McCoy will act as a goodwill ambassador for the tribe, promoting the government, language, history and traditions of the Cherokee people. Six teens competed for the honor at the Tahlequah Armory Municipal Center in three categories: cultural presentation, impromptu question and a speech on their platform. McCoy, 15, earned her sash and crown after she demonstrated how to make traditional shell shackles for stomp dancing, answered why she thought Cherokee society has always held women in high esteem and gave a speech on the importance of building self-confidence in Native youth. McCoy is the daughter of Gregg and Betty Jo McCoy. She previously served as the 10 to 12-year-old 2014-15 Little Cherokee Ambassador. Natalie Gibson, 16, of Miami was named first runner-up, with Danya Pigeon, 17, of Hulbert named second runner-up. 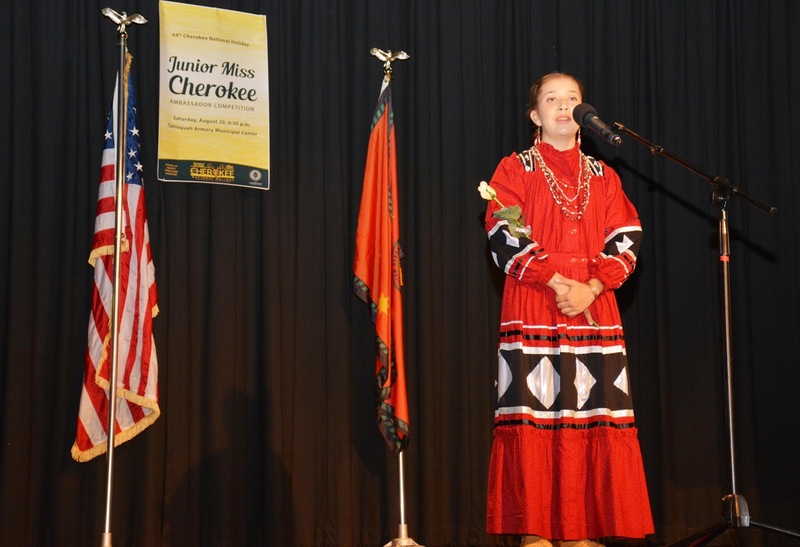 The Junior Miss Cherokee competition is held each year in conjunction with the Cherokee National Holiday held over the Labor Day holiday. The Miss Cherokee competition is slated for 6 p.m. Saturday at Cornerstone Church in Tahlequah.